With a population of only 96 (yes, you read that correctly) and located off the Chesapeake Bay, Highland Beach, MD, is shore to have plenty of waterside diversions to choose from. And if you guessed that many of these hot spots involve enjoying the fresh, bay air, you’d be right! For a dose of history during your weekend getaway, head to Thomas Point Shoal Lighthouse. As one of the most widely recognized lighthouses on the East Coast, it’s no wonder that tours are offered daily. From here, you can learn more about how the lighthouse keepers lived and worked. Quiet Waters Park provides over 340 acres of beautiful grounds for families and visitors. Whether you plan to see a concert, walk the extensive trails, or spend some time at the playground, this destination has a little something for everyone. While you’re exploring this town, it’s no surprise that you’ll want to enjoy some time outdoors. But to efficiently reach these amazing destinations, you’ll need a dependable vehicle. 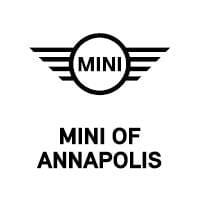 Luckily, MINI of Annapolis has the perfect speedsters to help you discover more of this wonderful village. 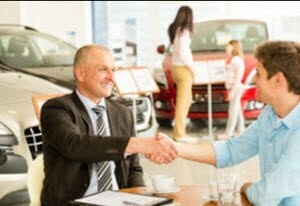 As a premier MINI dealer near Highland Beach, MD, we dedicate every second of our time to ensuring that you have the best car buying experience possible. Whether it’s with the assistance of our expansive inventory, our friendly sales associates, or our selection of valuable tools, you’ll have everything needed to locate your perfect new car. Once you walk through the doors of our state-of-the-art showroom, you’ll have a choice between employing one of our MINI experts in finding your new vehicle or simply browsing by yourself. Either way, you’ll be supplied with a full rundown of the standard and optional gadgets within the MINI of your choice. When you’re shopping for one of the sportiest compact vehicles on the market, you’ll be sure to discover lots of way to trick out and customize your MINI. No matter if it’s a pair of aggressive racing stripes, a brandishing of your country’s flag, or anything else, your imagination is free to run wild. For a callback to this vehicle’s roots, we suggest checking out that iconic British Racing Green paint option. And once you’re ready to finance your agile new vehicle, we’ll quickly help you design a payment plan that aligns with your budget so that you can spend more time hugging the curves in the road. On top of that, we’ll collaborate with local banks and lenders to get you furnished with the loan options you deserve. That way, nothing will stand between you and the open highway. If you’re a true MINI enthusiast, you love your car more than just about anything. That’s why our team of skilled mechanics ensures that every maintenance and repair job is performed with the utmost expertise. With the knowledge of our technicians, your vehicle will run smoothly for a lifetime. Schedule your first appointment today by hopping online and selecting a date and time that works best for you. Embrace the Road with Your New MINI Model! At MINI of Annapolis, we’re just as enthusiastic about our vehicles as you are. To help you enjoy every minute behind the wheel, we offer a full array of trained professionals who’ll thoroughly care for your car, no matter what. So, start exploring more of those loopy back roads in Highland Beach, MD, by visiting our showroom or scheduling your test drive today!